Just when you thought you knew Chicago like the back of your hand, you realized there's a whole 'nother secret hand that you didn't even see! 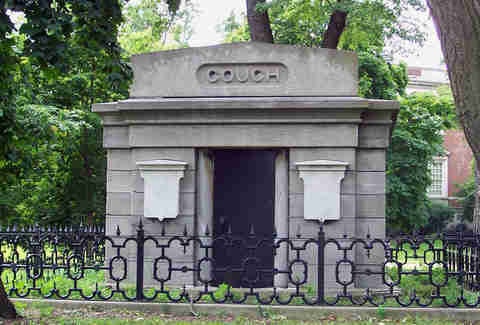 Hopefully it doesn't belong to one of the dead guys buried in Lincoln Park, because -- according to these 11 secrets of Chicago -- THERE ARE DEAD GUYS BURIED IN LINCOLN PARK. The Southern portion of the park was originally City Cemetery up until 1869 when city officials thought it might be a good idea to move cholera-ridden bodies away from Lake Michigan and into rural areas outside the city. 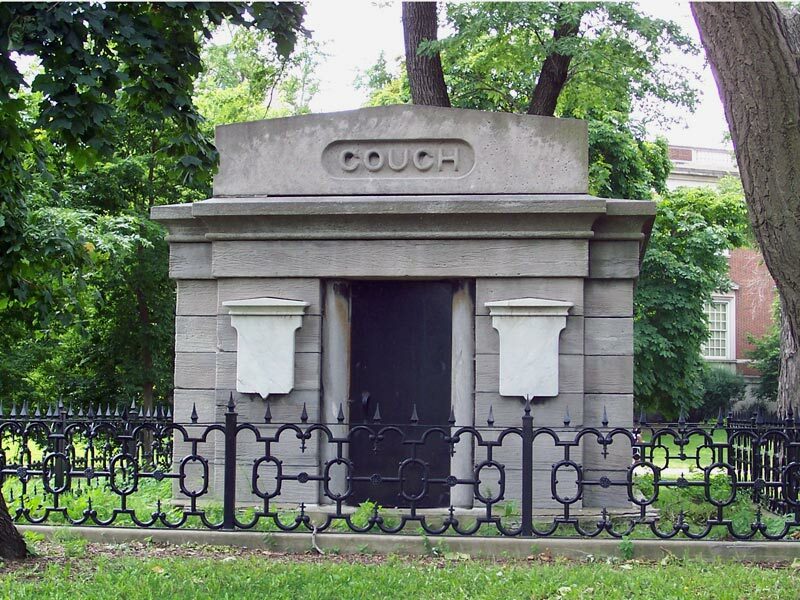 Gravediggers started the job, but the Great Chicago Fire destroyed burial markers and as many as 10,000 bodies have been left behind, including Ira Couch, whose tomb you can see by the corner of Clark and LaSalle. Obviously there are Ninja Turtle-caliber secret tunnels running 40ft underneath the city. 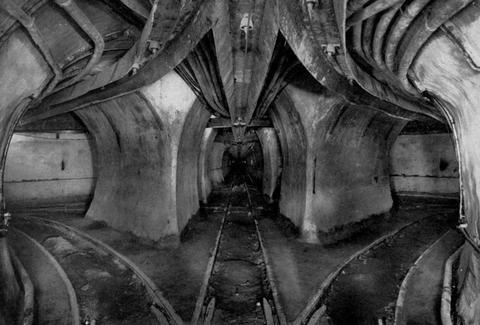 Once used to transport coal and other freight, the network of underground passageways was completely abandoned by the Chicago Tunnel Company, and later flooded the Loop during construction in 1992 (between this and the Chicago fire, the city has a lot of disaster range). 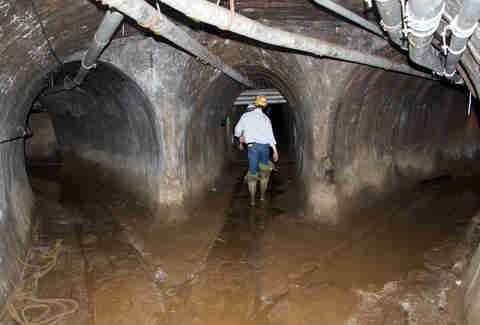 The seven-foot tunnels have been sealed with water flowing between River North and the Field Museum. If you’ve read Devil in the White City, then you’re up to speed on 1890s serial killer H. H. Holmes, whose elaborate murder spree was rivaled only by Jack the Ripper (there are working theories that they’re the same person, in which case HOLY CRAP). 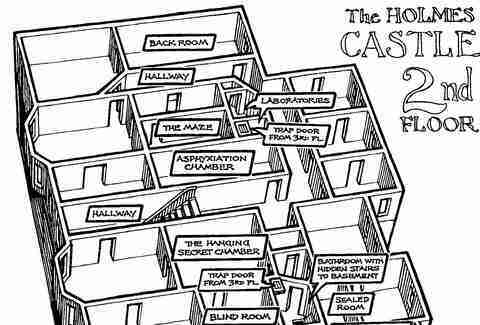 Formerly filled with secret passages, hidden rooms, and a soundproof vault, the castle is now a post office at 63rd and Wallace where only a series of winding tunnels in the basement remain. 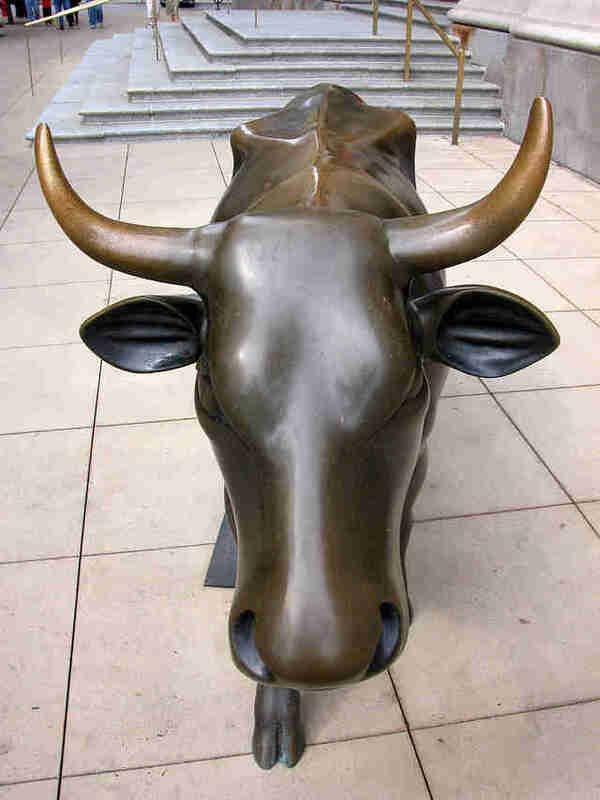 It’s probably not best for a farmer to make decisions about urban planning -- he might do something wacky like put a never-ending restriction in the deed that his Loop-area property require a clear path for cattle to travel to and from pasture. That’s what William Jones did at 100 W Monroe when he sold the land in 1840. Nothing says, "surely our city will never burn down in a giant fire" like having alleyways paved with wooden blocks. 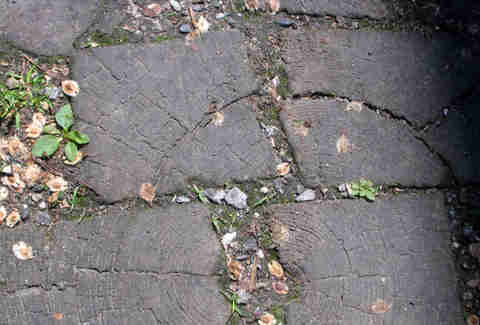 It made sense during the 19th century -- lumber was abundant coming from Wisconsin and Michigan -- so more than 700 miles of Chicago streets were paved with wood, even after the fire. Eventually, asphalt became a cheaper alternative to wood and a much more fun surface for shooting hoops, but the wooden alley at State and Astor remains. 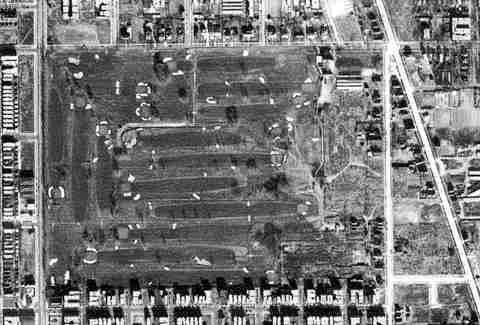 In the 1910s, West Ridge experienced a development boom with the centerpiece being an 18-hole private golf course surrounded by "golfview" apartment buildings. Real estate developers attempted to purchase the course land in 1965 and transform it into hi-rise apartments and a shopping center. Teed-off (get it??????) community organizers fought the development to preserve open space, the land was re-zoned, and they attempted to sell it again to developers following an alderman being bribed $50,000. Ultimately, though, the people won out and Warren Park was constructed. The Chicago River is so polluted that gas bubbles of rotting meat entrails from the stockyard days continually rise to the surface today at Bubbly Creek. You can catch the phenomenon at the South fork of the river between Bridgeport and McKinley Park. Makes for a very romantic date. There's nothing funny about clowns and there’s especially nothing funny about massive train accidents that kill clowns, like the 1918 crash that killed 86 workers and performers in the Hagenbeck-Wallace circus. 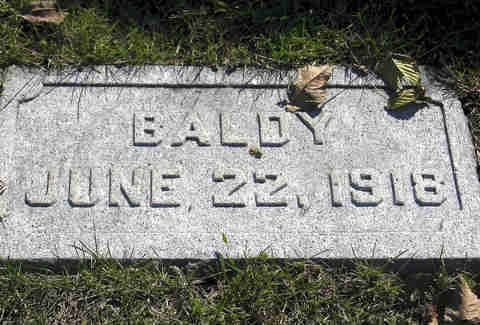 The majority of the bodies are buried in Woodlawn Cemetery, including several unknown victims who were buried with their stage names like "Baldy" and "Smiley". 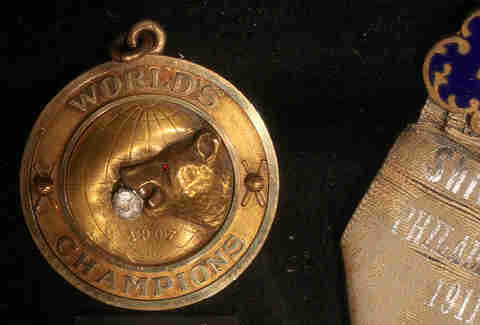 Remember when the Cubs won their last World Series? Of course you don't, that would be physically impossible. However, you can relive the Cubbies 1908 glory which took place at West Side Park -- remember, the Friendly Confines of Wrigley had yet to be built -- which is now the site of the UIC Medical Center at Taylor and Wood. No word on whether they've developed a cure for soul-crushing disappointment. With a speakeasy, brothel, and gambling den, the mob headquarters at The Four Deuces was a one-stop shop for debauchery. That was, of course, as long as you weren’t on Al Capone’s bad side, in which case he had a lavish meal prepared for you before you were brought into the basement, beaten all night, and murdered. 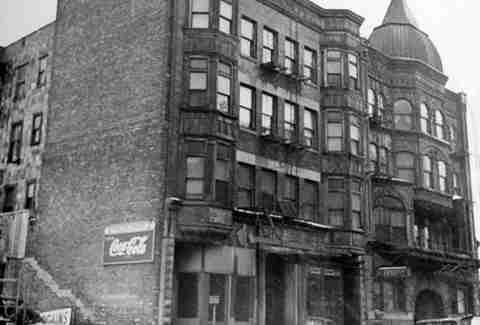 The racket at the Four Deuces became too unwieldy under reformer William Dever so Capone fled to Cicero, and today only an open field remains in the bar’s place at 2222 S Wabash. 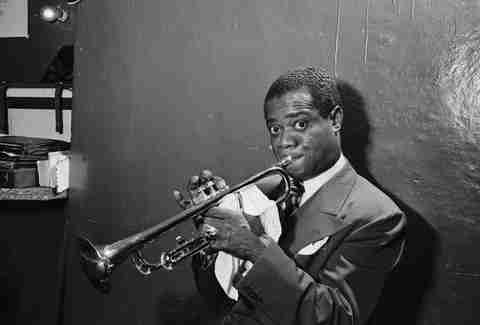 Jazz fanatics flock to the manager’s office at Meyer’s Ace Hardware in Bronzeville -- not to buy trumpet plungers, but to get a glimpse of Louis Armstrong’s legacy. The space was previously the Sunset Cafe, one of Armstrong’s top clubs, and the original murals and stage area have been preserved in the hardware store’s office. It’s not uncommon for jazz players to make the pilgrimage and drop in for a set. Sean Cooley is Thrillist’s Chicago Editor and he is terrible at keeping secrets. Follow him on Twitter: @SeanCooley.